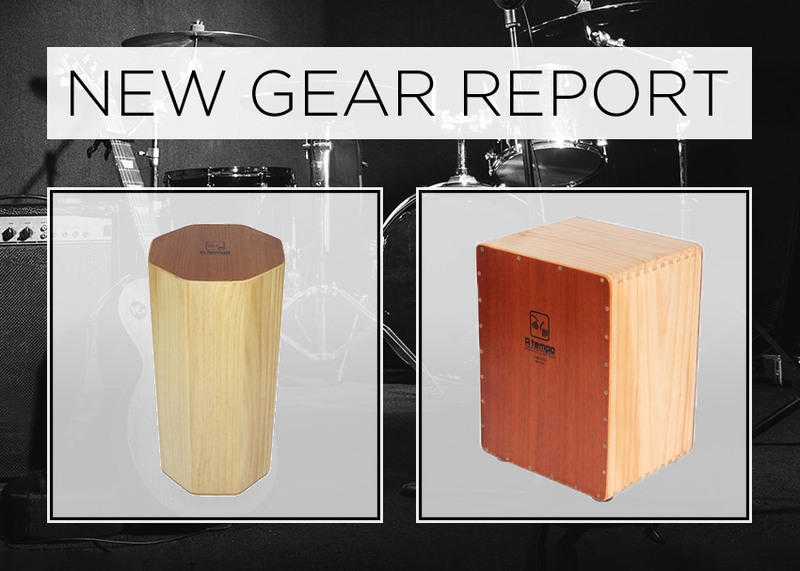 Got any cajon players out there? I’m used to hearing crickets chirp after a question like that. 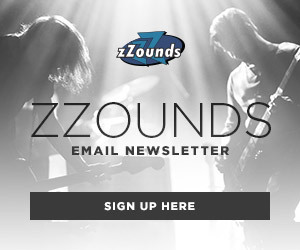 Personally, I love the stuff out of playing cajons, even though I’m not a drummer. When you sit atop a cajon and slap out a sick beat, you can literally feel the rhythm in your whole body. A Tempo Percussion was spearheaded by Alexis Castaneda, a third generation cabinet maker who fitted his knowledge of wood with his love of music to create his own cajons. 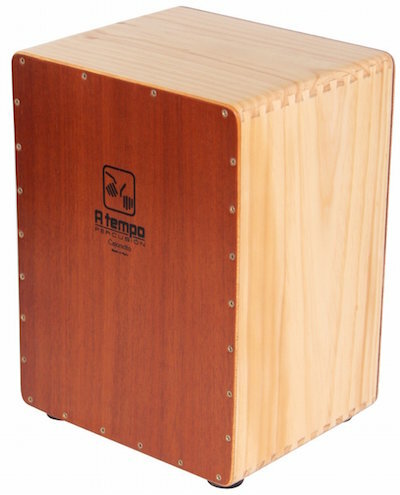 In 1999 the A Tempo brand was born and since then Castaneda has refined his lineup, introducing cajon blends with other hand percussion instruments, like congas. I want to shed the spotlight on two particularly unique cajons from A Tempo: the Conga Cajon and El Cajoncito. Looks like a cajon, plays like a conga! At first glance, this cajon doesn’t look like most — its octagonal shape definitely sets it apart in the looks department. The sound is more of a slappy conga timbre, but it’s a bit woodier-sounding. The part that you hit, called the tapa, is made of Spanish cedar and lupuna — so instead of hitting drum head, you’re hitting wood. The tapa, the length, and the pine frame give the Conga Cajon more projection — it’ll definitely cut through without having to be miked. It’s also super lightweight and has a convenient gig bag that goes with it, so it’s much easier to carry than a regular ol’ conga. 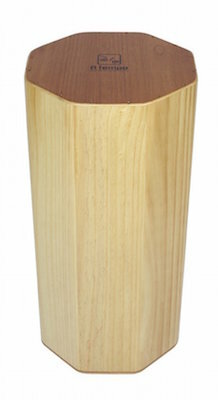 The Conga Cajon also plays like a conga — meaning you don’t sit on it. That’s probably the most notable/important difference. We don’t want you to break your face. All jokes aside, this is definitely something worth trying. I’m lucky that all of you out there in the blogosphere have only a vague idea of what I look like. Sure, I rock a leather jacket on the daily, and I’ve got really awesome red hair, but in real life I’m pretty tiny and not at all as intimidating as I dream I am. I look pretty comical handling most instruments because I stopped growing when I was twelve, and most guitars and stuff are made for regular-sized adults. A Tempo Percussion has made a scaled-down cajon, El Cajoncito, that’s the perfect size for teacup humans. It’s also great for children — but don’t tell little Timmy that or he’ll want one, and you’re going to all blame me when your ears are bleeding. 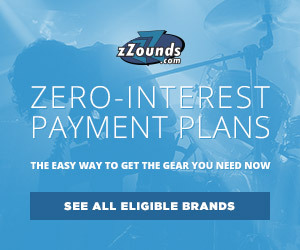 Just because it’s smaller and cheaper doesn’t mean A Tempo skimped on the design. Its tapa is also made of Spanish cedar and lupuna, and the body is solid panels made of Monterey pine. I think the best part about this, besides it being me-sized, is that it weighs under ten pounds. If I wanted to start my street performance career, I could do so without lugging around a heavy instrument!